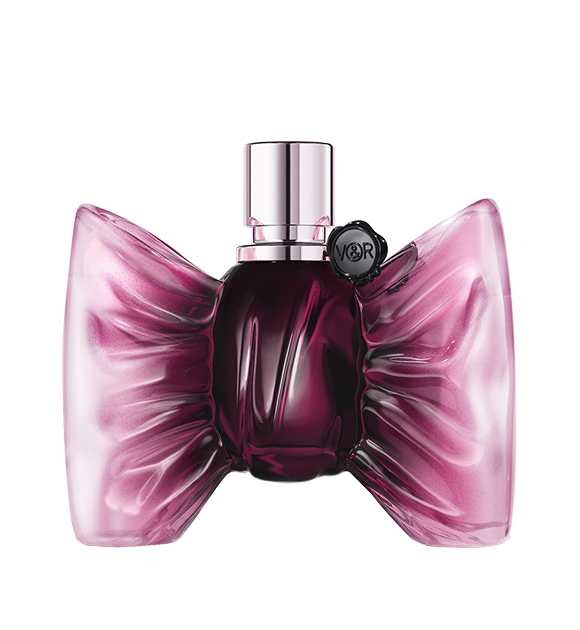 Bonbon Eau de Parfum, a timeless sensation inviting a pure and absolute pursuit of pleasure. Bonbon Couture is an even more opulent, intense interpretation of Bonbon - the all-encompassing sensory experience of the fragrance is enriched, the ritual enhanced and the ceremonious pursuit of pleasure acutely heightened. The delicious BonBon Shower Gel will cleanse and purify your skin and tantalise your senses. The beautiful Bonbon Body Lotion will take you on a seductive journey. Bonbon's exquisite Body Cream is an invitation to indulge. She who wears Bonbon is invited to delight in the pleasure of this luxurious Satin Body Powder. Bonbon Perfumed Bath Foam invites to indulge in the opulence of a luxurious lather. Bonbon’s Perfumed Bath and Body Oil is a gourmand body coat that caresses the skin with the subtle scent of Bonbon. The deliciously fragranced Bonbon Hair Mist leaves a light, true fragrance on the hair. The ideal way to revive the scent trail of the gourmand-fresh Bonbon fragrance throughout the day. Master craftsmen from renowned Pochet du Courval realized the exceptional one-of-a-kind Bonbon bottle. In the face of extreme technical difficulty, the glass bow was successfully rendered through an uncompromising and groundbreaking patent process. Staying true to silhouette, the contours of the bow’s design were shaded in pink tones with a precise degradé technique. The original addictive fragrance becomes more irresistibly attractive. Bonbon Couture is a more deliciously caramel interpretation of the original Bonbon haute confection fragrance. With the delicate layers of oriental gourmand notes, comes the inextricable link between the senses of smell and taste, which evoke deep olfactory experiences. 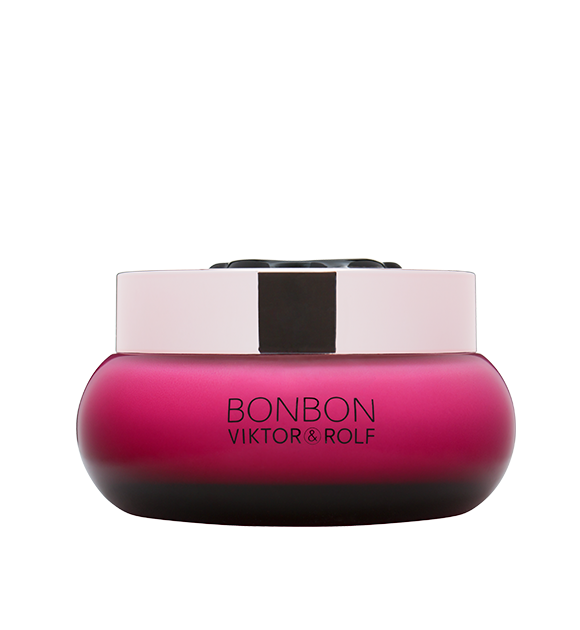 The bottle of Bonbon Couture is a luxurious object symbolizing Viktor&Rolf’s atelier of expression. In the face of extreme technical difficulty, the shining bottle is sculted with the precision and craftsmanship required in the creation of a couture piece by Master craftsmen from renowned Pochet du Courval. 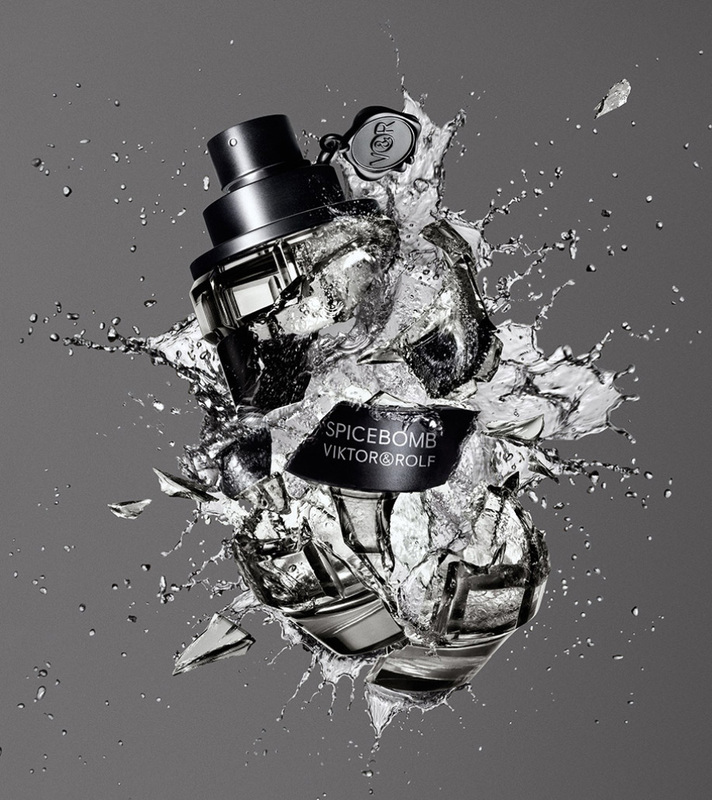 Spicebomb Eau de toilette, the masculine fragrance of Viktor&Rolf, is a cocktail of virility, crafted with refinement for men by Viktor&Rolf. 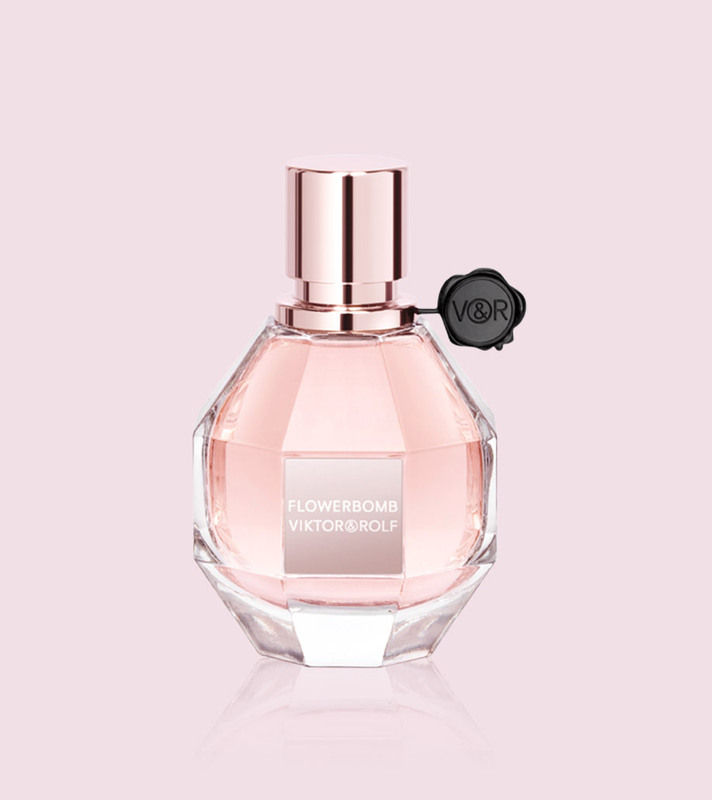 Flowerbomb Eau de Toilette is a soft but sensual reinterpretation of the addictive notes of Viktor&Rolf’s iconic fragrance.